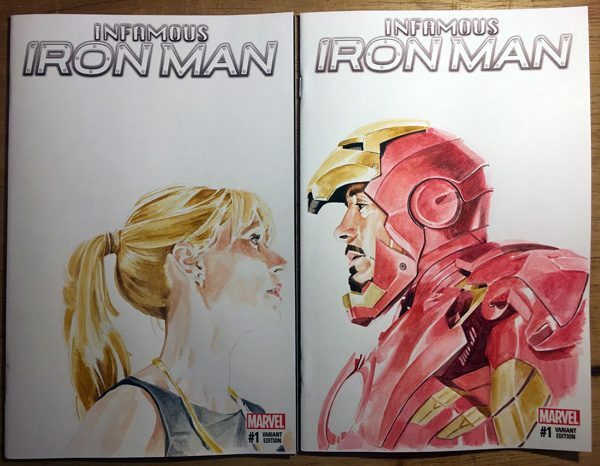 No big news, I just love painting on blank card stock comic covers. It helps me wind down after a day at the Cintiq. I like playing with interconnecting the covers, and being a huge Iron Man this scene from Iron Man 2 was a no brainer.